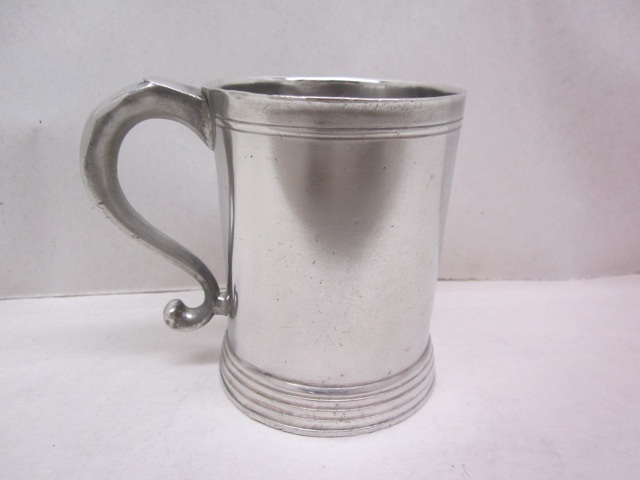 i am pleased to offer this attractive 1/2 pint beer mug made between 1854 and 1883. it is unmarked but positively attributable to the meriden britannia company of meriden, connecticut. the mug is illustrated in their catalog in the section on beer mugs. 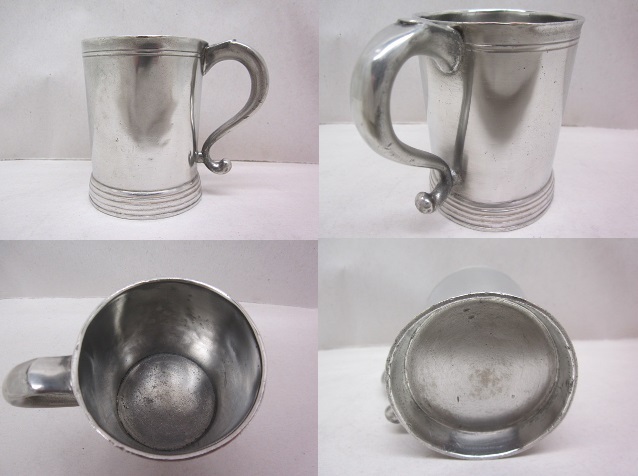 the mug is in very good condition and stands 3 1/2" tall.